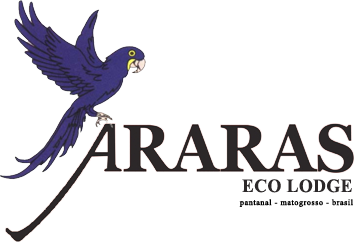 When you visit Araras Lodge you are actively participating in our Environmental Preservation programs. Did you know that in 1993 there were 27 Hyacinth Macaws (hyacinthine macaw) living inside the Araras Eco Lodge borders and its neighboring areas? Today, there are 42 of them! This mark was reached through nest monitoring, inhibiting the capture of chicks for commercial purposes, and educating the locals regarding a more protective attitude towards the fauna. And we also distribute artificial nests; we are systematically planting the manduvis, an indigenous tree where more than 87% of the macaw’s nests were found. With the continuous occupation and the splitting of the large ranches in the Pantanal, these trees are being cut down and have diminished sensibly for they are used to make salt trugs, besides the fact that they burn easily because of their soft consistency. We are also recuperating large areas with the palm acuri, which produces a nut that is these birds’ principal source of food.